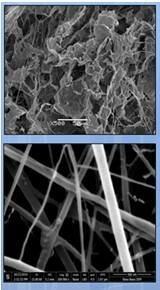 The scientific mission of the group is to conduct multi-disciplinary research to design biomaterials able to modulate the response of the desired tissue leading the regeneration and formation of the degraded tissues, or to the perfect integration of the biomaterial and the recovery of the lost functionality. Research concentrates on a fundamental understanding of these phenomena from molecule to man, through a combination of in vitro and in vivo experimentation and is of crucial importance for many biomedical applications. The results are used to design and evaluate novel approaches for tissue regeneration, including the design of cellular niches with biomaterials that guide ultimate tissue composition, organization and mechanical properties. Special emphasis is given to the integration of materials modeling with molecular and cell biological concepts. To establish a generation of implant materials and prostheses with enhanced lifetimes in soft tissue applications. To develop innovative medical devices from concept to patient. To develop novel degradable materials those are capable of inducing a vascularized healing response. 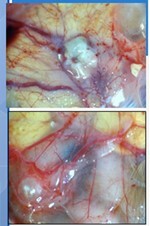 To develop polymer based Nerve Guidance conduits for peripheral nerve repair which are biocompatible, biodegradable. 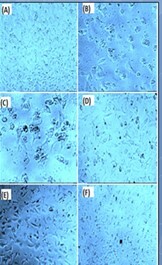 To investigate new approaches of creating tissue engineering constructs from modular components. To facilitate technology transfer through an IRCBM Industrial linkages. Moreover, the research done by the our group to embrace not only basic science techniques for the characterization of the interactions between the new developed materials and the biological entities, but also a technological approach, closer to the biomedical companies leading to translational research.